Q-Connect Presentation 40mm 4D Ring Binder A4 White (Pack of 6) KF01329Q Pack of 6 Q-Connect A4 Presentation Binders, ideal for presentations, manuals and reports. Full pockets on the front and spine allow you to slide in your own cover sheets creating bespoke, personalised binders. 4D-Ring mechanism. 40mm capacity. Colour - White. Q-Connect Presentation 25mm 4D-Ring Binder A4 White (Pack of 6) KF01325Q Pack of 6 Q-Connect A4 Presentation Binders, ideal for presentations, manuals and reports. Full pockets on the front and spine allow you to slide in your own cover sheets creating bespoke, personalised binders. 4D-Ring mechanism. 25mm capacity. Colour - White. 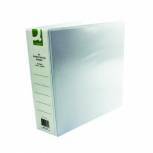 Q-Connect Presentation 50mm 4D Ring Binder A4 White (Pack of 6) KF01333Q Pack of 6 Q-Connect A4 Presentation Binders, ideal for presentations, manuals and reports. Full pockets on the front and spine allow you to slide in your own cover sheets creating bespoke, personalised binders. 4D-Ring mechanism. 50mm capacity. Colour - White. 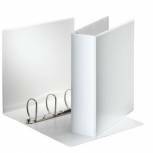 Q-Connect Presentation 65mm 4D Ring Binder A4 White (Pack of 6) KF01334Q Pack of 6 Q-Connect A4 Presentation Binders, ideal for presentations, manuals and reports. Full pockets on the front and spine allow you to slide in your own cover sheets creating bespoke, personalised binders. 4D-Ring mechanism. 65mm capacity. Colour - White. Elba Panorama 65mm 2 D-Ring Presentation Lever Arch File A4 White (Pack of 5) 400008436 Pack of 5 Elba Panorama A4 Presentation Lever Arch File. Made from hard wearing plastic board. Clear slip pockets on front and back and spine. 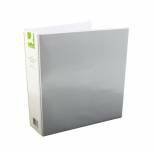 Q-Connect Presentation 25mm 2D Ring Binder A4 White (Pack of 6) KF72645 Pack of 6 Smart polypropylene binder with a 25mm capacity. Transparent front and side pockets. Will accept any standard hole punched papers. Hardwearing and reusable. Great for reports, catalogue drafts or proposals. Colour: White. 2 D-Ring mechanism. 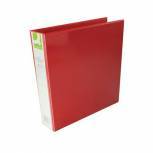 Q-Connect Presentation 25mm 4D-Ring Binder A4 Red KF01326 Pack of 1 Q-Connect A4 Presentation Binders, ideal for presentations, manuals and reports. Full pockets on the front and spine allow you to slide in your own cover sheets creating bespoke, personalised binders. 4D-Ring mechanism. 25mm capacity. Colour - Red. 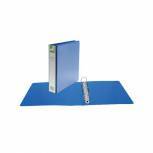 Q-Connect Presentation 25mm 4D Ring Binder A4 Blue KF01327 Pack of 1 Q-Connect A4 Presentation Binders, ideal for presentations, manuals and reports. Full pockets on the front and spine allow you to slide in your own cover sheets creating bespoke, personalised binders. 4D-Ring mechanism. 25mm capacity. Colour - Blue. 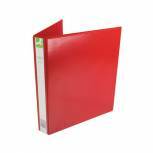 Q-Connect Presentation 40mm 4D Ring Binder A4 Red KF01330 Pack of 1 Q-Connect A4 Presentation Binders, ideal for presentations, manuals and reports. Full pockets on the front and spine allow you to slide in your own cover sheets creating bespoke, personalised binders. 4D-Ring mechanism. 40mm capacity. Colour - Red. Q-Connect Presentation 40mm 4D Ring Binder A4 Black KF01332 Pack of 1 Q-Connect A4 Presentation Binders, ideal for presentations, manuals and reports. Full pockets on the front and spine allow you to slide in your own cover sheets creating bespoke, personalised binders. 4D-Ring mechanism. 40mm capacity. Colour - Black. Q-Connect Presentation 16mm 4D-Ring Binder A4 White (Pack of 6) KF01324Q Pack of 6 Q-Connect A4 Presentation Binders. Full pockets on the front and spine allow you to slide in your own cover sheets creating bespoke personalised binders. 4-Ring mechanism. 16mm capacity. Colour - White. 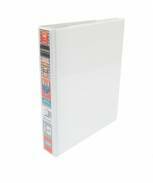 Esselte 40mm 4 D-Ring Presentation Binder A4 White 49704 Pack of 1 Esselte A4 Presentation Ring Binder. 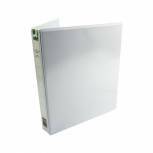 Premium PVC binder with full pockets to the front cover and spine enabling you to create your own binder for presentations. 4-D ring mechanism. Spine width 40mm. Colour -White. 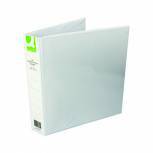 Esselte 25mm 4 D-Ring Presentation Binder A4 White 49702 Pack of 1 Esselte A4 Presentation Ring Binder. 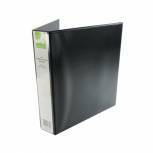 Premium PVC binder with full pockets to the front cover and spine enabling you to create your own binder for presentations. 4-D ring mechanism. Spine width 25mm. Colour - White. 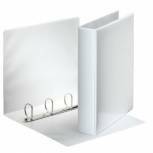 Esselte 60mm 4 D-Ring Presentation Binder A4 White 49706 Pack of 1 Esselte A4 Presentation Ring Binder. 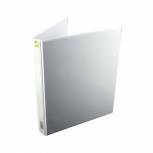 Premium PVC binder with full pockets to the front cover and spine enabling you to create your own binder for presentations. 4-D ring mechanism. Spine width 65mm. Colour -White. 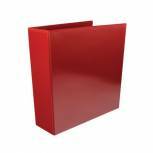 Red 65mm 4D Presentation Ring Binder (Pack of 10) WX70296 Pack of 10 Hard wearing and practical. Will sit nicely on a shelf or desktop. Ideal for home and office filing. 4 D-ring mechanism. Size: A4 (210x297mm). Supplied in a pack of 10. Colour: Red. Capacity: 65mm. 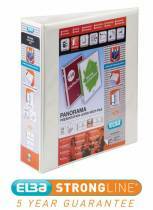 Elba Panorama 25mm 2 D-Ring Presentation Binder A5 White (Pack of 6) 400008434 Pack of 6 Elba Panorama A5 Presentation Ring Binder. Made from hard wearing plastic board. Clear pockets on front and back and spine. 2 D-ring. 25mm capacity. White. 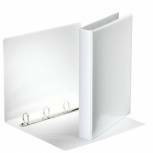 Elba Panorama 40mm 2 D-Ring Presentation Binder A4 White (Pack of 6) 400008505 Pack of 6 Elba Panorama Presentation Binder A4 2D-Ring 40mm White 400008505 Made from hard wearing plastic covered board. All round clear pockets on front and back and spine for complete personalisation. 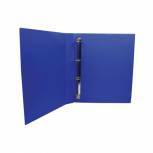 Q-Connect Presentation 40mm 4D Ring Binder A4 Blue KF01331 Pack of 1 Q-Connect A4 Presentation Binders, ideal for presentations, manuals and reports. Full pockets on the front and spine allow you to slide in your own cover sheets creating bespoke, personalised binders. 4D-Ring mechanism. 40mm capacity. Colour - Blue. 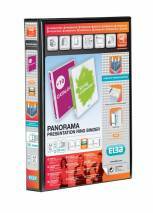 Elba Panorama 25mm 2 D-Ring Presentation Binder A4 Black (Pack of 6) 400008411 Pack of 6 Elba Panorama A4 Presentation Ring Binder. Made from hard wearing plastic board. Clear pockets on front and back and spine. 2 D-ring. 25mm capacity. Black. 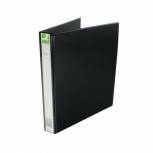 Q-Connect Presentation 25mm 4D Ring Binder A4 Black KF01328 Pack of 1 Q-Connect A4 Presentation Binders, ideal for presentations, manuals and reports. Full pockets on the front and spine allow you to slide in your own cover sheets creating bespoke, personalised binders. 4D-Ring mechanism. 25mm capacity. Colour - Black.